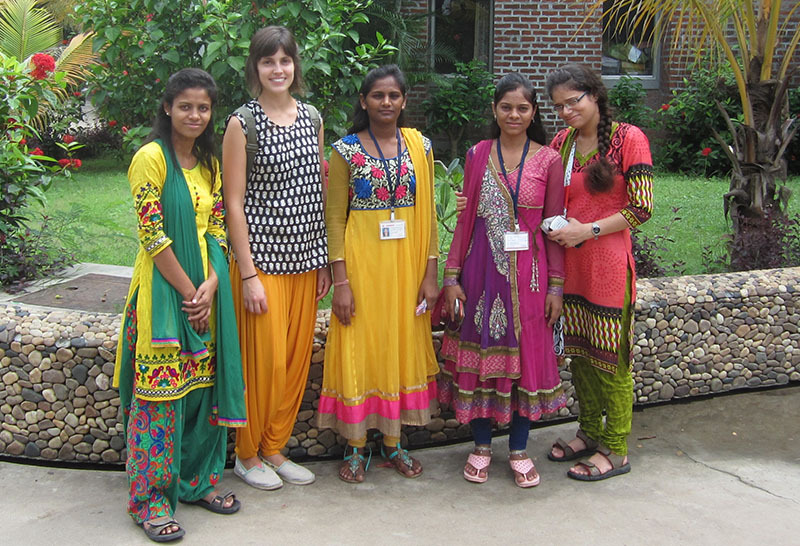 To provide mid-term and long-term volunteering and learning opportunities at a renowned NGO, growing at a rapid rate, with a clean, tranquil and serene campus with world-class facilities in the heartland of rural India. 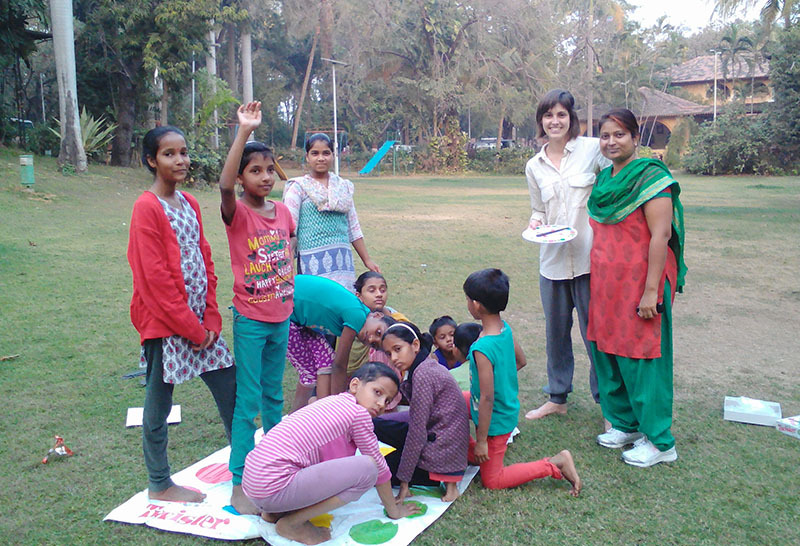 Ashram offers multi-faceted experience in health, education, social aspects, alternative energy and more. Keeping in mind that the needs, desires and goals of every intern is unique, we strive to customize the internship program for each intern. Each intern is encouraged to carefully review Munisevaashram.org website and the following description. 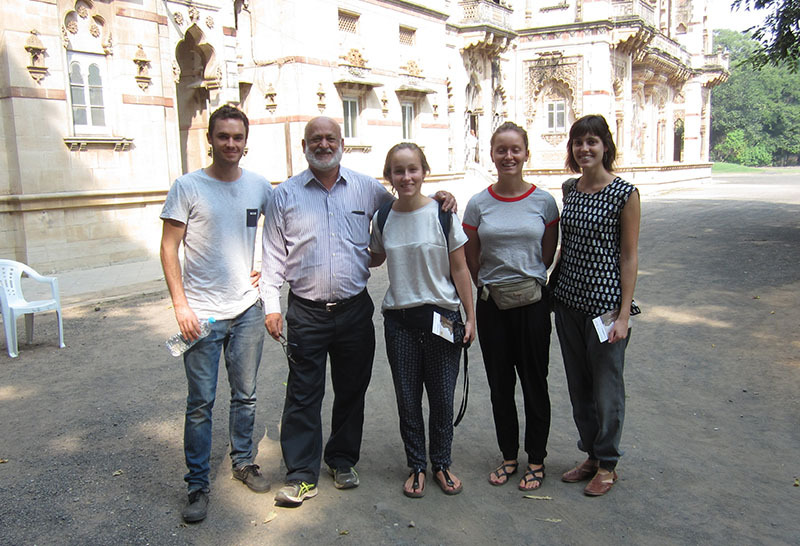 Interns will then interact with several senior people at Ashram to carve out a unique and custom volunteering program. Vocational Training Center - Train the students and "Train the Trainers"
Teach general subjects like English, Computers, Personality Development, Motivation etc. Teach vocational subjects like Nursing Assistants, Renewable Energy (Solar, Bio-gas), Equipment Repairs etc. School of Nursing - English, computers. "Train the Trainers"
EMRS (English Medium School) - Various subjects for 6th through 12th grade students in science stream. Examples: Science, Technology, Mathematics. Volunteers can select two to three areas/activities where they would like to work for their Internship program. Minimum period of internship is 6 weeks. Dates are customized as per specific needs of the intern. After making the PAYPAL payment, kindly complete the Consent Form by clicking here. We will send you copy of completed form as a PDF. In 2016 I was delighted to be offered a place within the team organising the '2017 World Solar Cooking Conference', taking place in Muni-Seva Ashram. 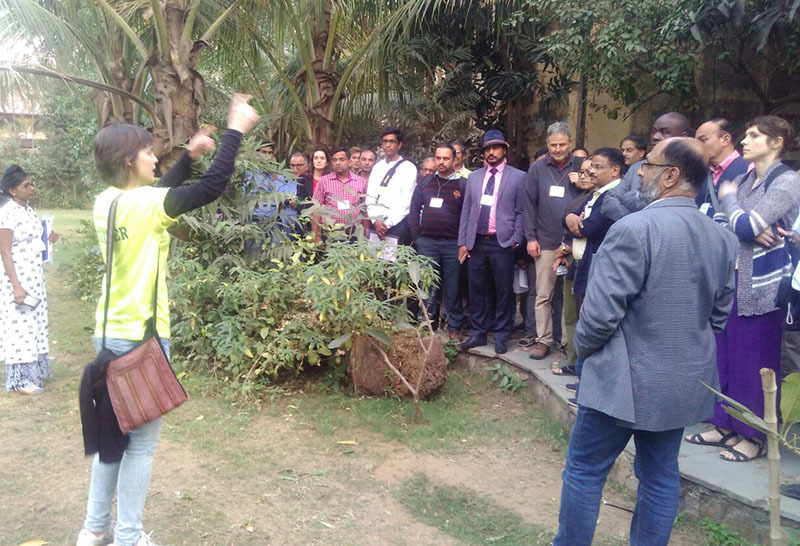 When I arrived at the Ashram, I was amazed to discover an impressive network of hospitals, schools, laboratories, organic farms, care homes, cafeterias, social programs and more - all powered by innovative and sustainable projects doing essential ground-breaking work. I was awestruck by the ingenuity of the people and teams responsible for creating such a socially-minded and impactful system. Witnessing the selfless hard work, intellect and courage that went into forming the Ashram is breathtaking. Having the chance to experience such a true representation of 'making a difference' feels extremely special and has played a huge part in shaping my life goals and ambitions. Without a doubt, Muni-Seva Ashram will have a profound effect on my life forever. My hope is that the lessons I have learnt, thanks to the great people at Muni-Seva will help me try to live my life according to the Ashram's philosophy, 'Together we can change the world'. I was living in the US when I heard about Muni Seva Ashram. I was working in cancer research and I was interested in learning from the Indian culture, when the Kailash Cancer Hospital & Research Center came across one day, so I planned my visit there. I decided to move to MSA to do an internship in MedGenome Labs, the genetics laboratory that performs genetic screenings and personalized treatments of the cancer patients of the hospital. My time in the ashram was absolutely memorable. Not only gave me the opportunity to work in a different field of oncology, but opened my eyes to a sustainable community where education, healthcare, social work with minorities, renewable energies and organic farming coexist. 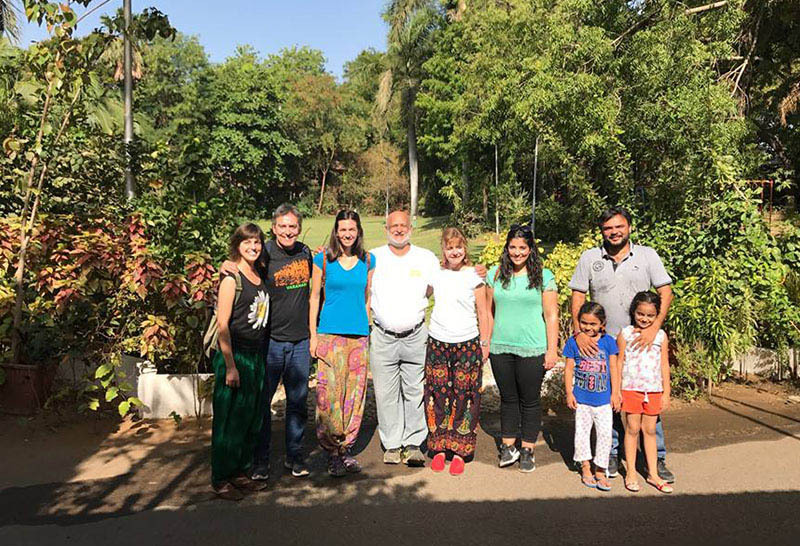 During the 5 months of my stay, I could meet professionals in different fields that used all their knowledge and extensive life experience to improve the ashram in all aspects. All these efforts result in a leading technology place, where I could learn many things about clinical research in oncology, and other things that were new to me, like solar energy, biogas plants or green schools. 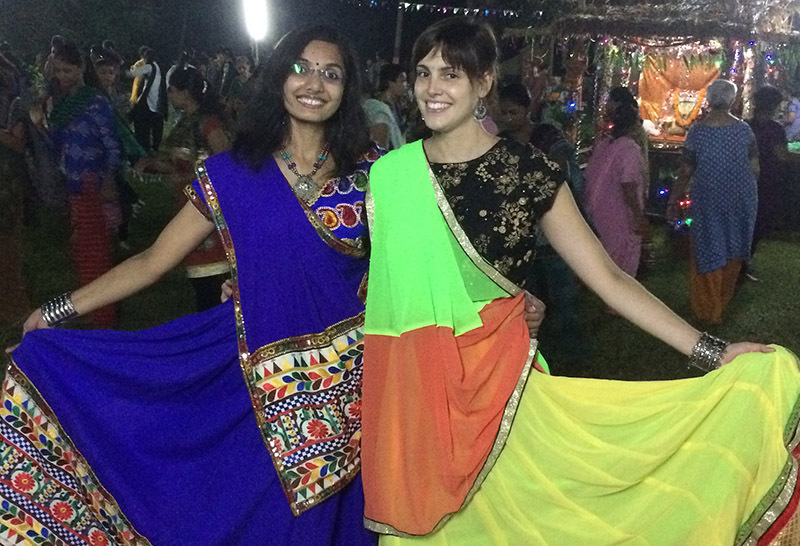 Additionally, I had the opportunity to experience a simple life in rural India with the love of the community. I joined their daily activities like early morning yoga, enjoyed the home food and lived the different festivals of the Gujarati tradition. I would definitely summarize this as one of the most enriching experiences of my life, I met some of the most inspiring people and I wish I can visit them again. The summer of 2016, I came to Goraj to act as project coordinator and organize public sanitation projects with Muni Seva Ashram (MSA). Majoring in Biology and Public Policy, I was excited to see how much MSA did to support tribal villages. I liked that MSA’s approach to development was multifaceted, focusing not only on medical care, but everything from education to renewable energy. Over the course of ten weeks, I worked with MSA to interview villagers and collect data for the sanitation projects. We educated households on the importance of sanitation and walked them through the financial benefits of vermicomposting. MSA gave me hands-on experience and taught me how to apply my knowledge of policy and development outside the classroom. By the end of the summer, entire villages were ready for construction and I was happy to see progress. I also worked with the local school. One project involved improving and updating the sponsorship program. Interviewing students and teachers, this program clearly had a positive impact. So, it was exciting to design templates and digitize the database. The other interns and I also taught English to 5-8th grade students. 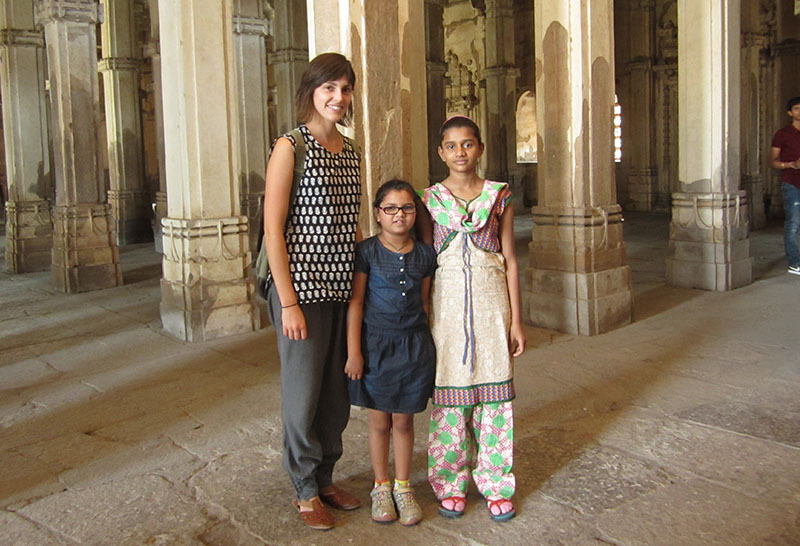 Using Gujarati-medium lesson plans, we went over everything from the alphabet to basic conversation. Afterwards, we would spend time playing with the students or helping them with homework. MSA works hard to make an impact on the surrounding communities. Working there reinforced in me the significance of advocacy. As a part of my course curriculum at Institute of Rural Management, Anand, I did my Development Internship Segment (DIS) on ‘Village Welfare and Hygiene’ at Muni Seva Ashram. The Ashram is located at a small village, in the cradle of nature, away from the hustle bustle of the city. With pollution-free, clean and green environment, the Ashram provides its residents with every necessary facility generated from renewable energy. The Ashram is set up to fulfill the needs of the society. 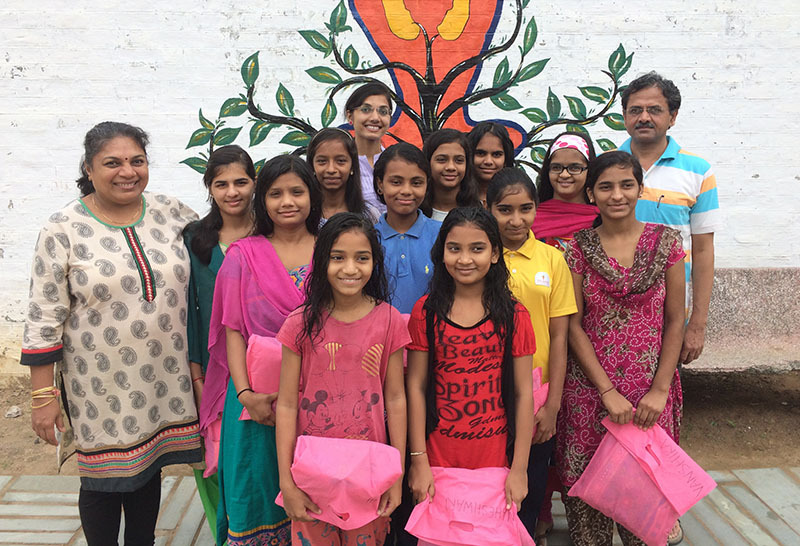 The needs based approach adopted by the founder, Anuben, to help develop the community helped create greater value of the Ashram for the beneficiaries. The fact that all those needs were fulfilled with best quality services and without harming the environment is highly appreciable. Every beneficiary, irrespective of their social or economic status, is provided with state-of-the-art facilities. The principle followed by the Ashram, of providing no service for free, and not denying service for the lack of funds, and the process developed to follow the principle are exceptional. The Ashram's multi-faced approach to help develop the society through low-cost quality education and healthcare, social-care (including child care, elderly care, and care for the mentally challenged), vocational trainings to increase employability, organic farming, usage of renewable energy (solar energy and biogas), recycling and reuse of waste (vermin-compost, biogas, water treatment plants) and camps to connect the urban, more privileged people to the simple life of the rural households is successful in leading to an integrated approach to development for the tribal people. My two-month internship included projects in various sectors such as education, sanitation, fund-raising and recycling and reuse of gray water. Educating villagers on the importance of toilets, especially vermin-compost toilets and helping simplify the government process for getting subsidies for the villagers’ personal toilets helped me understand and deal with the bureaucratic government processes and challenges faced by villagers leading to their reluctance in constructing and using their own toilets. The root-zone filtration system for recycling and reusing gray water for irrigation introduced me to simple techniques to reduce waste. Helping digitize the 'Sponsor-a-Child' program, I learnt about the great work done by the Ashram in providing all necessary facilities and all-round education to poor tribal children. Digitization of the program helped give a better visibility to the needs of the children and thus helped get better funds for their education through crowd-funding. Helping enhance the ‘Step-up’ program, implemented to improve the quality of primary school education of the tribal children gave me a better sense of the challenges faced by teachers in educating a highly energetic class and helped me understand the approach taken up by the program to manage and educate children of varied interests and capabilities. Tutoring the children in English language, I was able to create a beautiful bond with the children. The two hours of tutoring were enervating but highly satisfying. 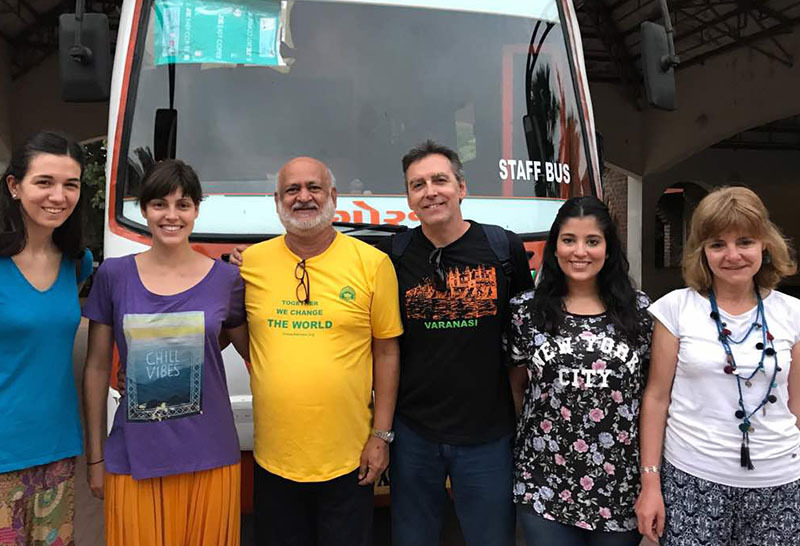 The enthusiasm and energy of the class made me feel energetic and excited even after a long day.Through the Ashram, I also met quite a few people from different parts of the globe who shared their lifestyles and cultures with me, thus enriching my experience. 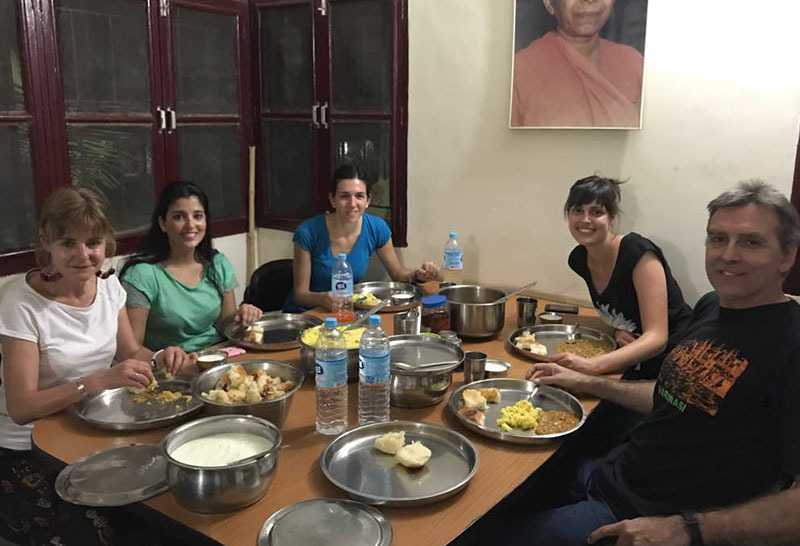 For two months, I was cared for by the people working at the Ashram like a family member. The kind ladies serving meals, who like mothers forced me to eat more, the people at the guesthouse who made sure that I had everything I needed from clean clothes to a clean room every single day, the hospital staff and the IT team who provided for all my needs while working, the villagers who made me feel like family in their homes, the children who loved me and respected me, and most importantly my mentor who was always there to support me, guide me and help me, all of them made my internship an enriching experience. The people working at the Ashram, for the needs of the tribal poor, constantly inspire me to work for the unprivileged, down-trodden people of our society. Two satisfying months spent at the Ashram amongst innocent children and kind people created a life-long memory for me.The environment of honesty, kindness, discipline and love made me feel at home and created an ever-lasting relationship between me and the Ashram.